I’m sitting in the sun on my verandah with a cup of tea right now, pondering my existence and purpose again. I don’t suppose any of us know why we are here but I am sure of one thing and that is that the Camino definitely CALLED me. It is impossible to communicate to those back home just how things change within you after a camino experience. It is like being reborn into a body with clearer perspective and more wholesome thoughts. It leaves you with the knowledge that there is a better way to live, as there is so much time to consider things and do some self inquiry. Now that I am home, I’ve been doing the usual declutter that comes at the end of nearly everyone’s Camino. We all come back with the understanding that there is too much ‘stuff’ in our lives. There are several people synonymously connected to the Camino, and this year I found myself somehow in the position where I could meet most of them. Of course, Gonzalo has been instrumental in facilitating many of these friendships but I am fascinated by the those I have met. The names that I’ve come to know so well on-line have become real people, good friends. I noticed that by the end of this particular trip, I actually had a ‘circle’ of strong women, and it still continues as I added another one yesterday. All these women have been through turmoil, extreme hardships and have all been tossed about in the washing machine we call life. We’ve tumble dried ourselves and come out a cleaner, more pure version, ready for a fresh start. 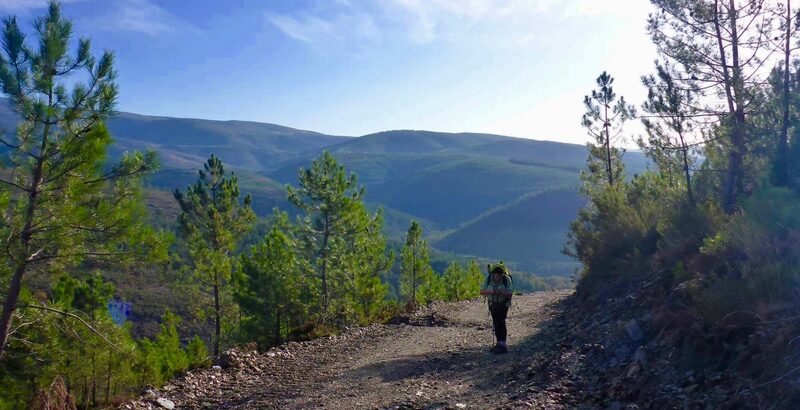 We’ve all been pulled together by the camino….so cool. Our stories are vastly different, but we have formed a strong bond. I’m fascinated by the synchronicity of everything, at how we all seemed to be drawn together at this particular time. It does not feel like an accident. There is a power behind this. I am excited to see what happens as we all converge again (some permanently) on Galicia next year. Click on the link below to see Camino spirit in action. Previous PostPrevious If the Shoe Fits….